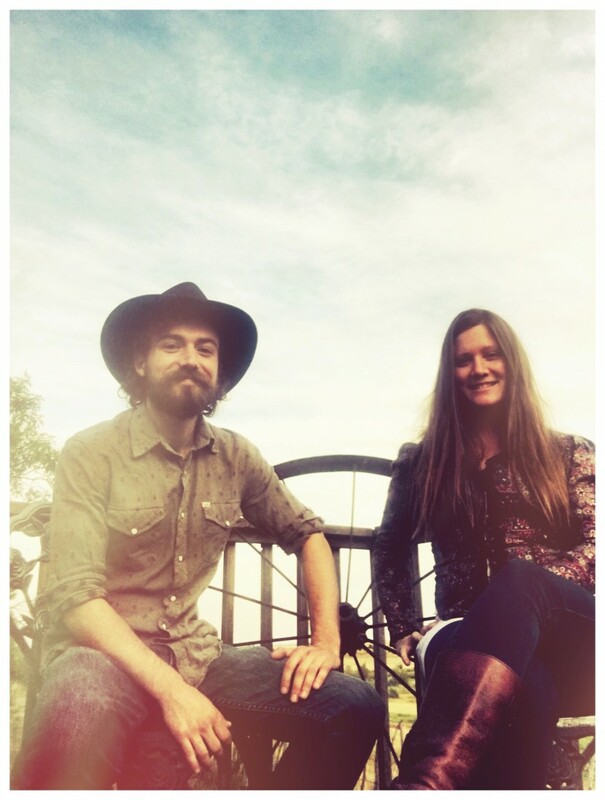 Colorado's Hardest Working Bluegrass/Americana Duo! 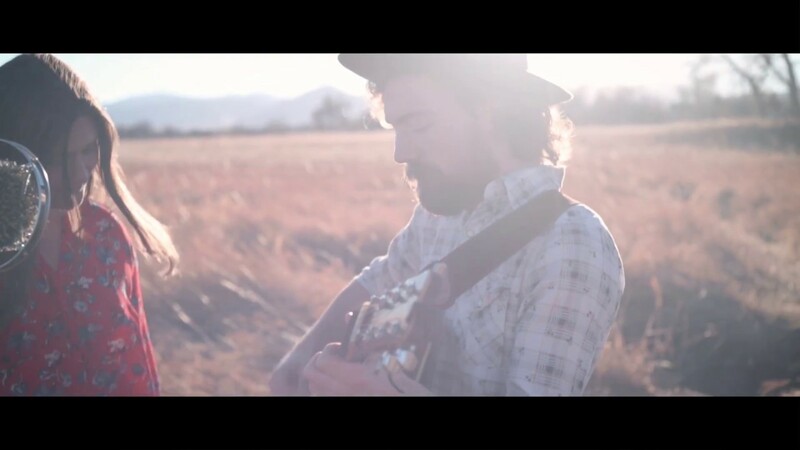 Soulful harmonies, captivating guitar and mandolin leads and an energy that'll keep you listening from the first note! Follow the Fox was absolutely amazing! 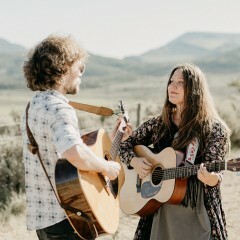 They learned a new song for my walk down the aisle and while I was so distracted I didn't even hear it everyone else at the wedding said it was even better played than the original artist. My husband and I could not be happier we chose to work with them on our wedding day. Both the ceremony and cocktail hour was extremely well done and all the songs were amazing. 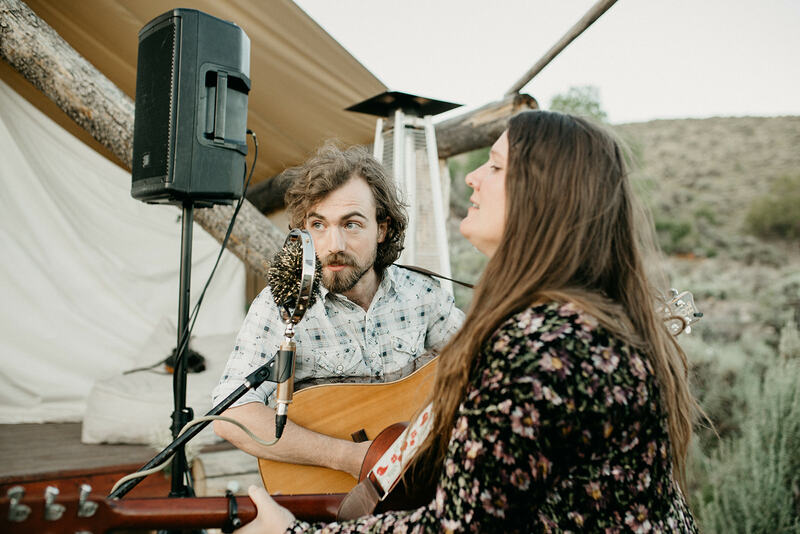 Sarah and Dylan not only have such a beautiful presence when performing, but they are just a joy to get to know in between songs too! 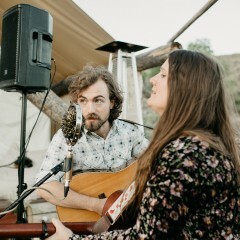 They made our intimate wedding in Vail feel complete and even learned two requested songs perfectly. I highly recommend them for ANY event you are having! It was our absolute pleasure to play for you! Your family is wonderful, and your love for each other is inspiring ❤️ All our best to you both. Music was great and so were they. Follow the Fox is incredible!! 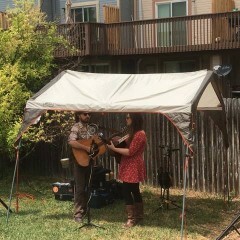 Sarah and Dylan added a super chill and super positive vibe to our event. 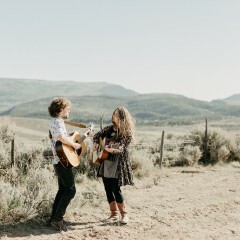 The arrived on time, engaged our guests, and are two very talented musicians. Folks of all ages were singing, clapping and dancing along. Everyone was smiling. We set them up outside, under a shade canopy. They brought their own equipment. The set list was amazing and they took requests. Follow the Fox blew our expectations away, in the best possible way. They were easy to communicate with and prompt in replying to questions. We could not be happier. Thanks, Sarah & Dylan. Thank you! 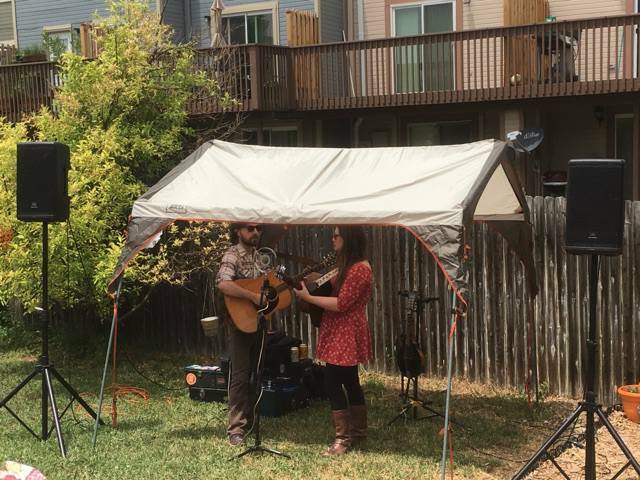 We had SO much fun playing for you all and meeting you and your guests! 😊 Have a great rest of your summer! Follow the Fox played for us during a corporate event and they were absolutely amazing. Very professional, prompt and very kind. 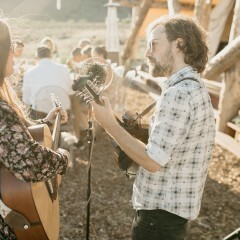 Our clients absolutely loved their acoustic music and it made our event very special. I would highly recommend booking for any occasion! Thank you so much for having us. It was our pleasure! We had Follow the Fox play for a cocktail hour, following a full day technology conference. They were so fun and put on a great show following a long day of content. They were prompt and easy to work with. Would definitely recommend! 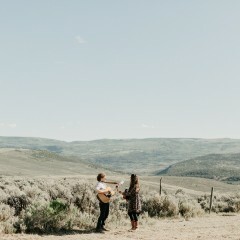 Sarah and Dylan played at our wedding in Granby, CO and were amazing! They learned several songs for us and played for our ceremony, cocktail hour and dinner. We had several compliments from our guests on how great the music was! 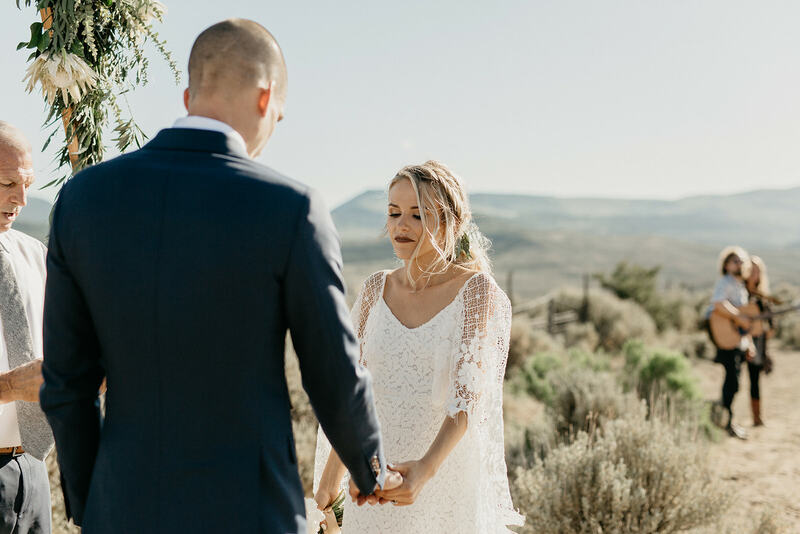 They were easy to work with and helped make our wedding day perfect. I would highly recommend them for any music needs. It was our pleasure!!! 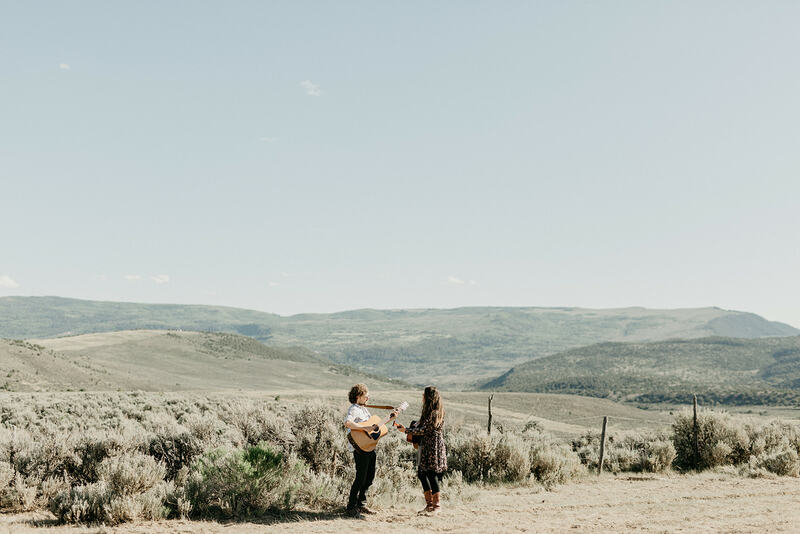 Hands down, THE most beautiful wedding we've ever played for. 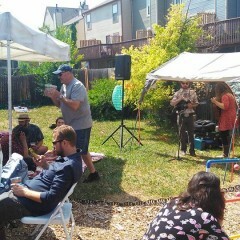 I hired this band to play a party for about 50 people. They were absolutely fantastic! I had so many people come up to me during and after the party to tell me how much they enjoyed the music and how great they thought the band was. I've been the Bluegrass snob for years, and Follow the Fox did not disappoint. We had a blast, David! 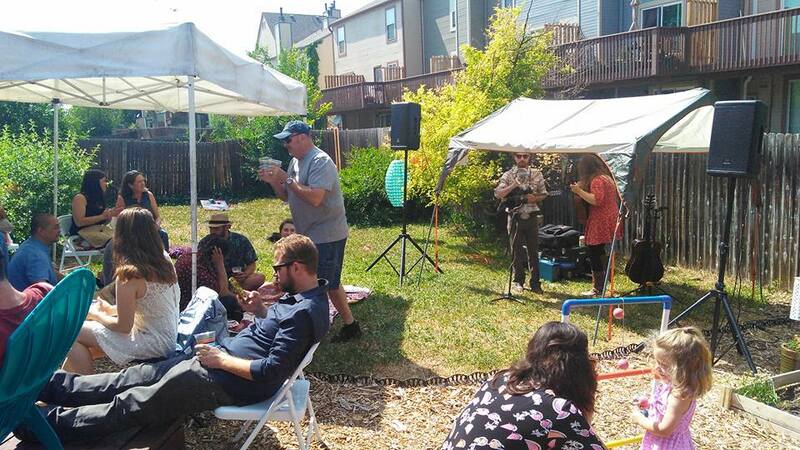 So glad to hear everyone had as much fun as we did! Thanks for the kind words, we appreciate ya! Sarah, Dylan and George played during our wedding ceremony and cocktail hour. We heard again and again from our guests how impressed they were with the musicians and how much it added to have them there. 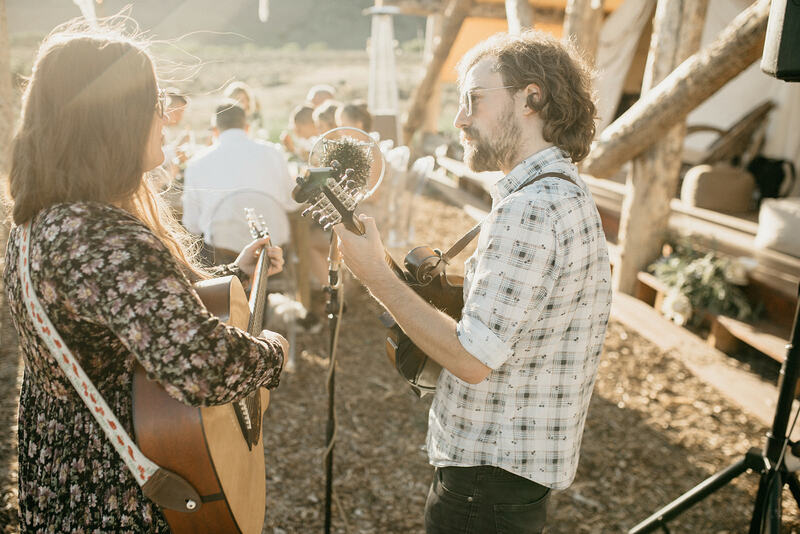 I would recommend that anyone looking for live music at an event to get in touch with Sarah. 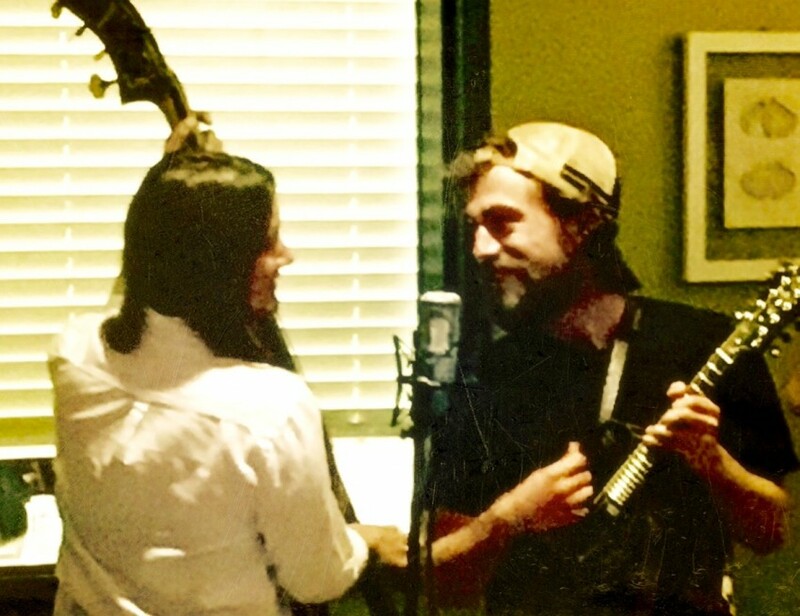 The banjo may be hard to imagine at a wedding, but it was melodic and lovely! It was our pleasure, Maggie! I had the pleasure of doing sound for Follow the Fox. The two were timely, and respectful of my needs as an engineer. To top it off their performance was fantastic! We so appreciate you, Lee! 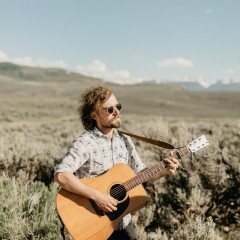 Colorado friends, check out RockFan for all of your live audio needs! Two professionals and a whole lot of smiles! We love what we do and take great pride in creating positive relationships with the venues, companies, and individuals we play for. 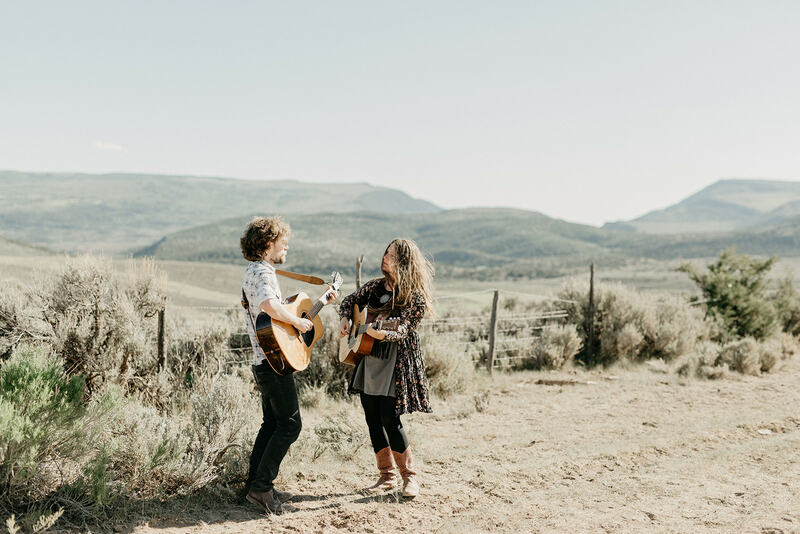 As a duo we are prepared to play up to 4 hours of music, and have many talented on-call musicians to fill a request for a full acoustic/bluegrass band if desired. We can provide sound equipment at your convenience. 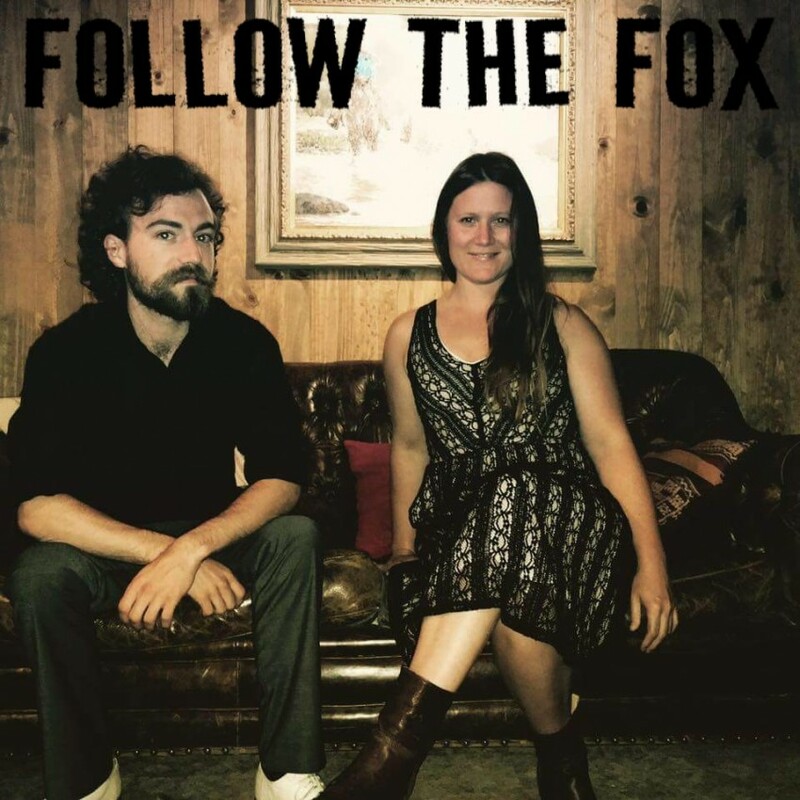 Follow the Fox is what happens when Sarah Cole and Dylan McCarthy join creative forces to create honest acoustic music. 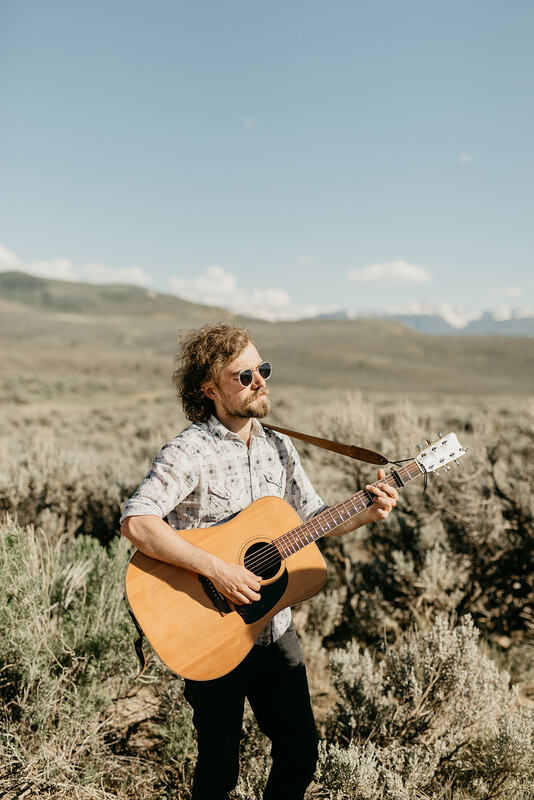 Occasionally joined by a myriad of talented friends, Follow the Fox is centered around the captivating songwriting and passionate performances of these two Denver artists. 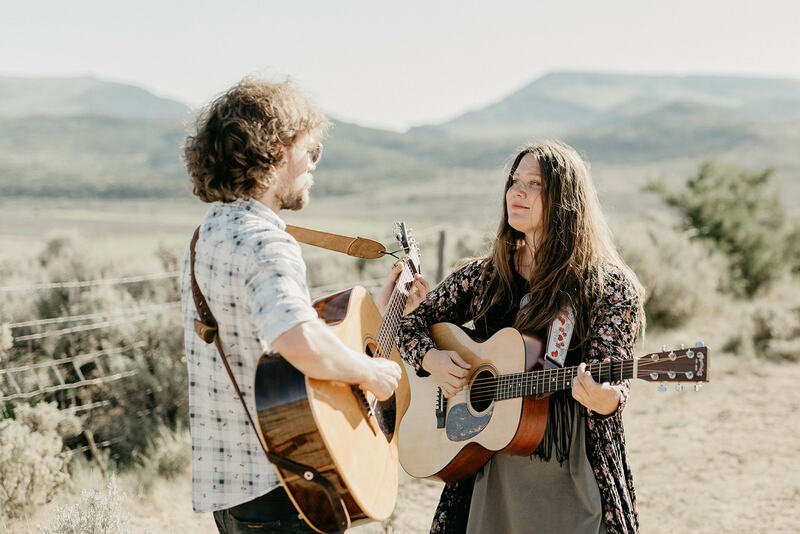 Anywhere from heart-breaking ballads to hard-hitting bluegrass tunes, their intricate harmonies and thoughtful arrangements give them a sound all their own.